If you think our Vancouver orthodontist only straightens teeth, think again. Our office covers a variety of services all related to the structure of your oral cavity. One common issue we see is patients who experience pain in their jaw. Anatomically speaking, their temporomandibular joints, or TMJ for short, are causing a number of symptoms such as jaw pain, headaches, and swelling. This pain then affects their nutritional and emotional aspects of their life. If you experience these symptoms, help is just a phone call away. 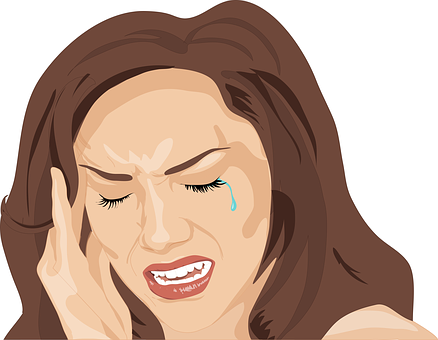 In the meantime, let’s take a deeper look at TMJ pain and your treatment options. We each have two TMJs on either side of our face. These joints sit below the ears, connecting your jaws to your skull. When properly working, the TMJ helps your jawbones move up and down as if on a hinge. When our Vancouver orthodontist patients report that pain is present when opening and closing their mouth, one, or both, of your TMJs is often the culprit. At this point, you may be diagnosed with temporomandibular disorder, or TMD. The causes of TMJ problems range from patients with a genetic predisposition to TMD, those with arthritic issues, and even an injury or accident to the face. If an over-the-counter pain reliever is enough to extinguish the pain on a daily basis, you might think the pain is manageable. And it might be; however, the best course of action is to talk with our Vancouver orthodontist team. Something is causing the pain, and if left untreated, your teeth and gums will suffer. If you have had restorative or cosmetic dental work, your investment in these procedures will be compromised. Often TMD is a result of a change in your bite structure. When bone or tooth movement changes your bite, your joints try to pick up the slack. This overcompensation leads to swelling, irritation, and loss of tissue protecting your joints. If movement is the issue, braces are one solution. Dental appliances are another treatment option. Our Vancouver orthodontist and your family dentist have options for TMD treatment. One course of action is to medicate with OTC pain relievers or anti-inflammatory medications. Non-drug therapies include alternating between hot and cold. A damp, hot cloth applied for 20 minutes followed by an ice compress helps to alleviate the strain and tightness. Exercises involving the jaw bones and orthodontic devices fall into this category as well. The last option to treat TMD involves surgery. Regardless of the reason, if you suffer from TMJ pain, seek our Vancouver orthodontist services as soon as possible. You’ll prevent damage to your teeth and eliminate the emotional distress that comes with continuous pain. Follow us on Facebook for more topics on orthodontia care or give us a call to schedule your appointment. We offer in house financing with affordable monthly payments!